4,4 - 3.............Chico von Forell. 4,5 - 5,5..........Vello von Fürstenfeld. 4,5 - 5,5..........Kira von Romberg. FCI World Champion in 1985. LG Siegerin Nordrhein in 1985. Westdeutscher Siegerin and Best in Show in 1985. Esmir van Hermansjomaik was praised for her working attitude and passed the ZTP with 1A rating for character and V for conformation, she also tested clear for PHTVL / PHPV. Her sire, Nicolai vom Kloster-Kamp, was Belgian Working Champion, D.V.I.N. Working Champion and runner-up at the D.V. Meisterschaft. He also passed the Körung 'for life' with highest rating for hardness and working drives. Esmir's maternal-grand-sire, Alva vom Franckenhorst, passed the Erstörung with highest rating for hardness and working drives. 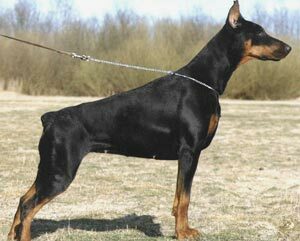 Hargos: SchH 3, FH and passed the Körung 'for life' with Körklasse 1B rating plus winner of numerous show titles. Heidi: SchH 3 and dam of the van het Wantij “C, E, H, P, U, Y” litters. Lorenzo Macho: SchH 1 and sire of the van de Donauhoeve “N” litter (Nikki). Lara: SchH 3, FH and passed the ZTP with 1B rating for character and SG for conformation plus winner of numerous show titles. She is dam of the van het Wantij “B, F, J, X” litters (Jivago). Latoya: dam of the van Hof Ter Eeckhout “N, O, Q, R, S” litters (Olaf).